The 21st century is the era in which Switzerland will embrace and revitalise its creative sector. 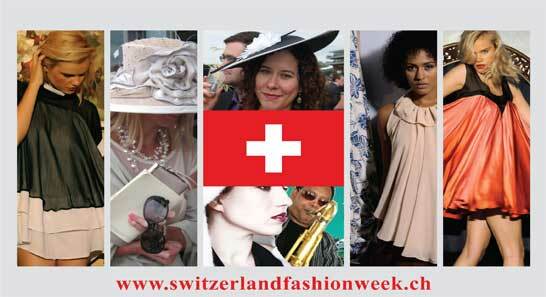 Through the platform of ‘Switzerland Fashion Week’ we will support talented and emerging artistic individuals. We aim to develop another dimension of fashion for the benefit of all. Inaugurated in 2012, Switzerland Fashion Week provides a platform for original and emerging artistic talent in the fashion world. We are committed to the development of a wholly new dimension in fashion that will ultimately benefit like-minded people and organisations. Our vision is to combine fashion, design, textile art, luxurious lifestyle, shopping, recreation, and tourism and investment opportunities in an exciting and radical way. Switzerland International Fashion Week showcases Fashion/Creative Networking and serves many creative individuals, artists who wouldn’t otherwise have such other avenues in their journey. Switzerland International Fashion Week is also a place for fashion business synergies and collaboration opportunities for many creative individuals and most importantly offers individuals and businesses a mutually beneficial space to add their special contributions. In Switzerland there are many opportunities in fashion, especially high street fashion. The country is open for the free movement of people from around the European Union and the new intake of people need to be provided with a balanced and quality choice of fashion items which are available for them. Above all, Switzerland is one of the best places on earth with a need for a “Fashion Week” with “Swiss Tags” to attract fashion cultural exchange and all the business opportunities associated to it. We aim to attract many up-coming fashion designers from local and national sources as well as from emerging countries to join our project. Act as their fashion agent, European PR agent promoting and distributing their final products to the UK & Switzerland trade. Direct to end-users where required. Collectively expose them in the International Fashion Weeks available, which is cost effective for us all. We will circulate various materials including videos, to prospective buyers, and to press and fashion TV networks, in order to add to each designer’s international presence. Target specific customer approach for the designers. The Benefits – Why Switzerland? Because so many products of the Swiss textiles and garments industry are numbered among the highest quality and most diverse in type of any textile products in the world, renowned for their strength, performance and functionality. The textile industry in Switzerland represents every area of activity, ranging from garment textiles including outerwear, sports & leisure garments, protective clothing, nightwear & underwear, home textiles, woven, tufted and felt carpets, through to technical textiles. In the fashion industry, Swiss textiles are in high demand and are represented on the Catwalks of the best designers in Milan, Paris, London or New York. The high reputation of Swiss textiles for comfort, care, and durability live up to the Swiss characteristic of “Creativity & Quality” and their appeal reaches far beyond the borders of Switzerland as far as to the Far East, Middle East and Africa. Switzerland is also home to many international organisations which have a great deal to offer the textiles industry and this event could be the opportunity for the most talented emerging fashion designers to express themselves through their artistic and commercial works, and to make their creations available to a wider global audience, to the added value of the Swiss textile industry. http://charlotteskitchendiary.com/2014/09/15/cruising-the-mediterranean/ Media exposure for the Switzerland Fashion Week 2013 to include as much worldwide fashion and various Media but also The New Switzerland Fashion & Lifestyle Magazine to be launched. Over the coming years we will develop and establish the Swiss International Fashion Week as a “Unique Fashion Gathering Week” in the World Fashion Calendar. And will be inviting the most accomplished and talented upcoming fashion designers to take part in various Showcases and Catwalks in various Swiss centres. A detailed plan and guide will be published to encourage international press, buyers and consumer audience to follow the train of Swiss International Fashion Week. All our endeavours will be focused on enhancing trade and creativity. 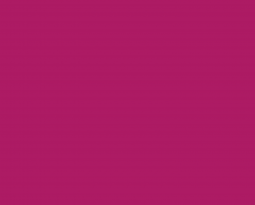 Therefore, Switzerland International Fashion Week would like to extend an invitation to take part as a sponsor or to be one of our strategic partners, supporters or participants. (Details available on request). Greetings from Florida! I’m bored to tears at work so I decided to browse your site on my iphone during lunch break. I enjoy the knowledge you provide here and can’t wait to take a look when I get home. I’m amazed at how quick your blog loaded on my mobile .. I’m not even using WIFI, just 3G .. Anyhow, fantastic blog!